You are at:Home»LSAT»Are your chances of being accepted to law school limited if you’ve taken the LSAT 3 times? 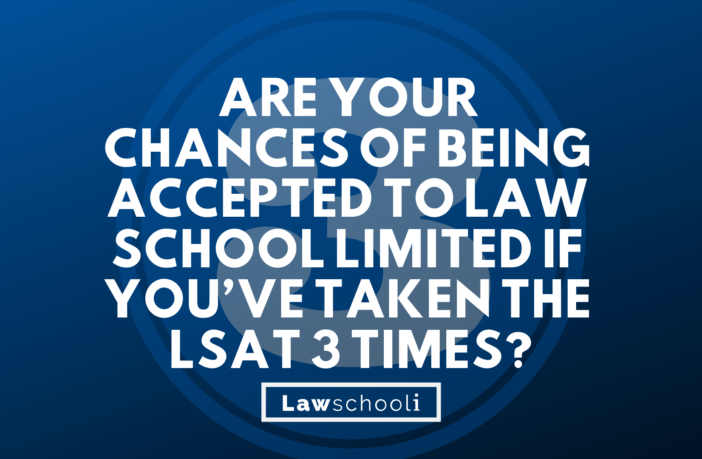 Are your chances of being accepted to law school limited if you’ve taken the LSAT 3 times? If you have taken the December LSAT, February LSAT, and then retake the October LSAT, and do a lot better on the October exam, are your chances of getting accepted to a school limited, just because you took it 3 times, even though you improved? If you have taken the December LSAT, February LSAT, and then retake the October LSAT, and do a lot better on the October exam, are your chances of getting accepted to a school limited, just because you took it 3 times, even though you improved? If you take the LSAT 3 times, your chances of getting into a particular law school are certainly going to be lower than if you had waited and taken the exam only once. This is why I always recommend that students wait to take the exam if they are not fully prepared. Having said that, you may be able to get into the school that you are interested in… But that depends largely on where you wish to go and how good your LSAT score is when you retake it (among other factors). Retaking the LSAT once and improving is fairly easy to explain in an addendum to you application… Perhaps you got sick, or had a family tragedy or something else. However, explaining why you didn’t do well on your first two attempts is a bit trickier. If you just weren’t prepared the first two times you took it, that isn’t going to impress many admissions directors. If, however, there were extenuating circumstances that explain the low scores, then it is very important that you truthfully convey that in an addendum. 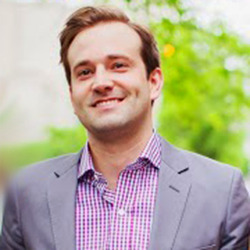 If you want more targeted advice, please provide more in-depth information: In order to evaluate how your multiple LSAT scores are likely to affect your chances, I would need to know your previous 2 scores, the circumstances that led to your underperformance, a realistic anticipated LSAT range when you retake the LSAT in October, your undergrad GPA, and your target schools. Any other relevant information would also be helpful (URM status, alma mater, etc.) Only with that additional information would I be able to estimate your chances of admission with any accuracy. Admissions LSAT Retaking the LSAT what are my chances? Next Article How much time do you spend on each LSAT logical reasoning question? I scored 144 the first time (with almost no preparation) and then 150 (with a lot of preparation), the circumstances that led to your underperformance (from the time i started studying the lsat until my recent score i have had to care for a family member that was sick and two family deaths, but i think my underperformance was anxiety. During my practice tests my scores were everywhere, from 149 to 165. The 165 was actually when I took the test at a coffee shop. My scores were scattered but 158-160 scores were most consistent. I’m planing to take it in June, and I’ve already gone through all the LSAT material so I would be completing practice tests and reviewing my weaknesses, my undergraduate gpa was 3.5, and my target schools are Georgetown, George Washington, and other schools that are in tier 2 or 3. Asian, and my alma mater was University of maryland. Thank you! If you were scoring in the high 150s/low 160s on PTs then yes, you should definitely retake. Make sure you are simulating practice tests accurately so that they give you a clear idea how you’ll do on test day. Georgetown is going to be very unlikely without a 165 or better so bear that in mind. Work starting from the oldest preptests to doing more recent ones as the test approaches. Hey guys, thanks for all of the help you provide on your site. Just got the October 2013 scores back, which was my second time taking the LSAT. I scored a 151 in December of 2012 after taking a very invasive prep course and then a 155 this time after studying by myself for three months. I was hitting 159/160 on my PT’s most recently. After looking at my December test, I performed normally in every section except games. I usually get three games perfectly and I only got 12/23 right. Should I re-take in December? If I don’t retake, I’m ready to submit my apps by 11/1… I feel pretty confident about my PS and resume. GPA is a solid 3.5 from the University of Texas in Gov/English. I’m applying to University of Texas, Fordham, George Washington, Alabama, University of Houston, Baylor, SMU, Pepperdine, and Tulane. Just trying to gauge what my strategy should be moving forward. Yes Hannah, you should definitely retake. Everything about your situation counsels a retake. Check out the post I wrote today: https://lawschooli.com/should-i-retake-lsat-scored-150s/ it deals with this subject. What prep course did you take? Assumption Required, also called Test Prep Guy, with Randall Hansen in Austin, Texas. Thanks for your recommendation. I’m definitely going to think it over in the next few days. I’m assuming I should completely hold off on my ED application to Texas, then, too?